The United Grand Lodge of England for many years has had a program to promote Freemasonry on college and university campuses around the country, including establishing new lodges, as well as linking existing nearby ones, specifically for those institutions. Called The Universities' Scheme, it's aim is to help to forge links between well placed, enthusiastic Lodges and the many students and other local young people who are seeking to become involved in Freemasonry but who may not know where to begin. There are now 50 such lodges throughout the UGLE jurisdiction. Southampton University Lodge No. 7022 is one such lodge. Founded in 1950 by a group from the University of Southampton, it welcomes petitions from students and staff of the school, as well as area residents. A benefit of lodges in the University Scheme is that it permits petitioners as young as 18, while the normal minimum age at the rest of UGLE's lodges is usually 21. The Wessex Scene is a student-run news source for the University of Southampton. A story appeared on their website yesterday (International Woman's Day) about a presentation last week at the Southampton University Masonic Society about female Freemasonry in England, and its origination in France. The Society has regular Q&A sessions and lectures on the campus about various types of Freemasonry and answers questions about the fraternity. [I]n pre-revolutionary France, the movement to include women in Masonic organisations had begun and its legacy continues today. This legacy of female involvement in Freemasonry is continued today in the form of the Honourable Fraternity of Ancient Freemasons (HFAF) and the Order of Women Freemasons (OWF). Female Freemasonry began in France with the sponsorship of female Masonic societies alongside regular men’s Masonic lodges. Various schisms and breakaway groups meant that, by 1913, there existed two female-only orders of Freemasonry. 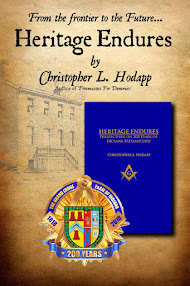 Existing alongside were both UGLE masculine Freemasonry and Co-Masonry for both men and women. Following from the lead of UGLE, who have more than 50 Universities’ Scheme lodges, which are aimed at attracting university students into Freemasonry, HFAF has established a similar scheme for young women at universities with an interest in Freemasonry. While Southampton University has a masculine student Freemason lodge, HFAF’s plans to establish a lodge in Bournemouth for university students will draw from females at the University of Southampton (amongst other South Coast universities) into Freemasonry. Apart from the obvious gender differences, many of the traditions of HFAF remain similar to their male counterparts: “we wear the same regalia and use the same rituals as UGLE Freemasons” and still use the masculine form of address for each other – “brother” – owing to the organisation’s roots in Co-Masonry. 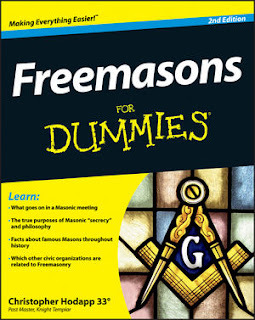 Similarly, in many cases, female Freemasons use the same meeting venues of the male masons, and there exist many marriages between UGLE and female Freemasons. MW Bro Chapman remarked that there was a certain inevitability to her entry to Freemasonry in 1976 as her “father, mother and husband were all Freemasons”. 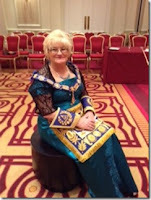 The long and varied history of female Masonic movements dispel the myth that Freemasonry is only for men; whilst masculine Freemasons vastly outnumber their female equivalents, their long history and enormous similarities make the opportunities for females in freemasonry as numerous as those available to men.